I want to thank DianaR at Random Relatives for this wonderful award! I feel so honored! It was such a surprise, it made my day! Thank You! Thank You! Thank You! 1. Copy the award to your site. 4. Link to those sites on your blog. 5. Leave a message on the blogs you nominate. It WAS tough to choose only seven!!! Again, many thanks to DianaR for making my day! Thank you Mysteri, You put a smile on my face and made my week! 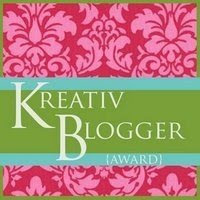 Your support continues to inspire me and keep on bloggin! Hi! Thanks for awarding me the Kb award! I'm honored that you and another genea-blogger gave that to me! Have a great weekend! Thanks, Msteri! What an honor for my brand new blog. Thanks for stopping by! You are all very welcome! I enjoy your blogs very much and look forward to reading more! Thank you so much. A very pleasant surprise to come home to! You are very welcome Apple!